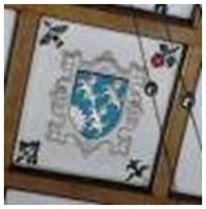 This in turn derived from the description of a banner borne by the men of Meirionnydd at the Battle of Agincourt, in the 17th century poem of the same name by Michael Drayton. 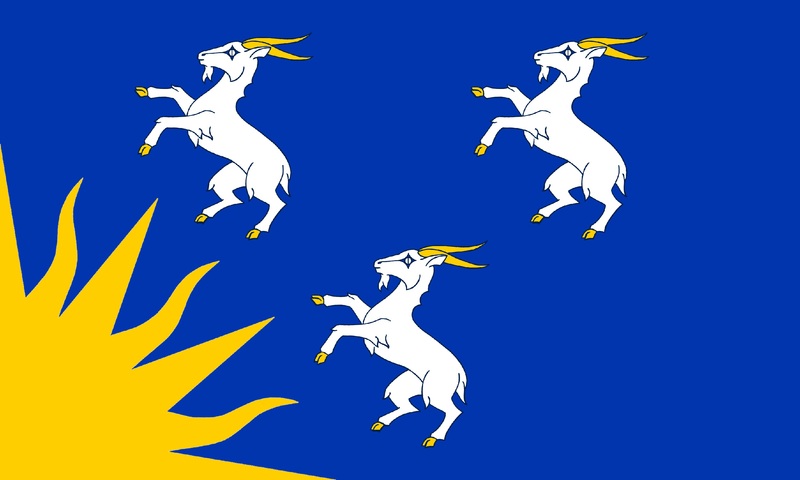 Here he wrote of “three goats dancing ‘gainst a rising sun”; the shield was blue, the sun golden and the goats white. 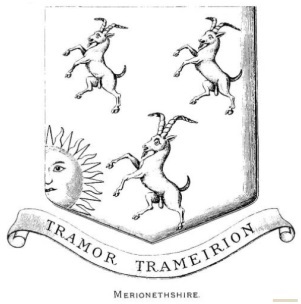 Speculation regarding this unusual arrangement suggests a connection with Cader Idris, where goats browsed and behind which the sun rose. 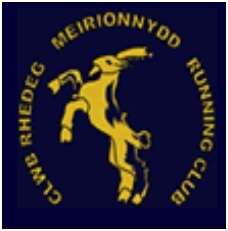 and the local running club, Clwb Rhedeg Meirionnydd (Meirionnydd Running Club) which features one of Drayton’s “dancing goats”, in salient stance. 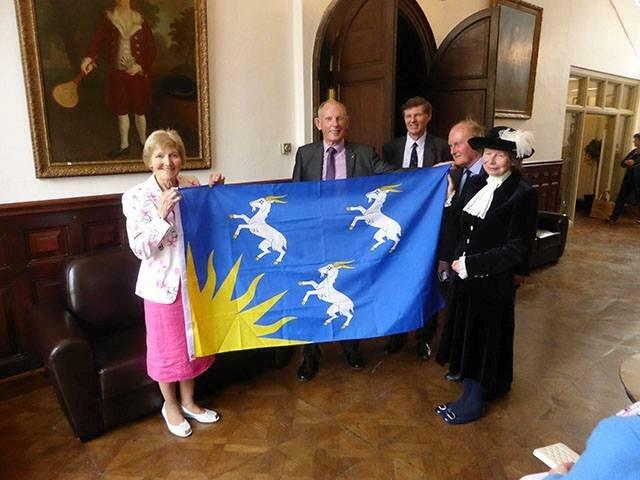 The running club was keen to see the proposed flag registered. 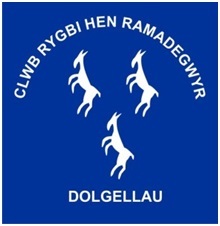 Being aware of the deployment of similar long standing county emblems as flags, in the neighbouring shires of Ynys Môn /Anglesey and Caernarfonshire, the club contacted the Flag Institute to express its approval of the proposed design and formally request its registration. 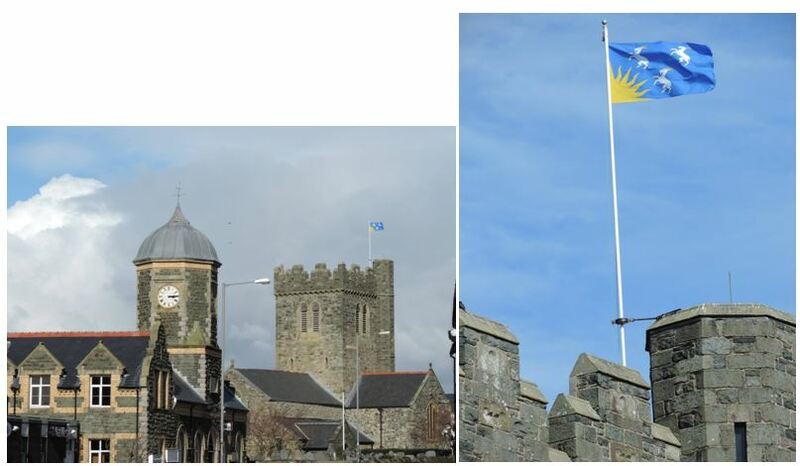 In light of the extensive evidence of the design’s usage in the county and following the formal request from a county organisation, it was duly registered as the county flag. 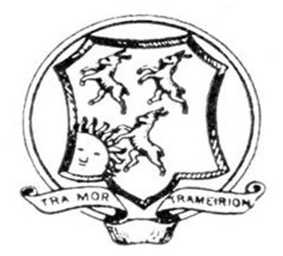 It maintains a theme associated with Meirionnydd potentially for six centuries and is highly distinctive; no other British flag is similar, the arrangement is uniquely Meirionnydd. 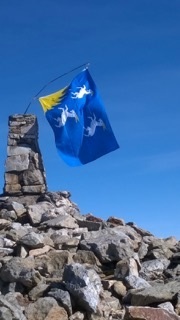 and at the summit of Rhobell Fawr. 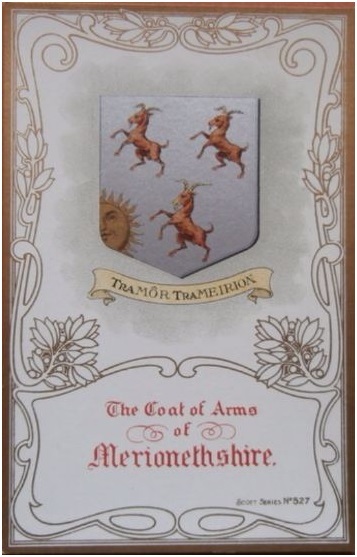 This entry was posted in Merioneth. Bookmark the permalink. County Days Milestone, click to enlarge.